Another Summer Solstice has come and gone and although most of us Northwesterners are still waiting for the weather to read the “Its Summertime!” Memo, there’s no denying that Summer has technically arrived. So before you scatter to your cabin on the shore or your favorite campsite in the mountains, I wish to quickly (if not excitedly!) 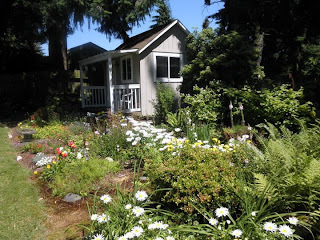 remind you that Summertime in Shoreline means its time for the “Where Our Wild Things Are” Backyard Habitat Tour - or “WOWTA” for short! WOWTA is a truly cooperative venture. Thanks to sponsorship by a City of Shoreline environmental mini-grant, and a fun and dedicated volunteer team of Shoreline Habitat Stewards working in close partnership with the National Wildlife Federation, the event is free to the public. Last year’s WOWTA Tour was “wildly” successful and with six garden habitats, this year’s tour is shaping up to be even more fun and exciting. The Ridgecrest and Briarcrest neighborhoods are hosting this year’s tour, so all of the Certified Backyard Wildlife Habitats selected to be in the tour are located in those two Shoreline neighborhoods. Look for WOWTA street signs, flyers and cards popping up all over Shoreline advertising the tour. Did you attend last year’s tour? Would you like to submit your Certified Backyard Habitat for participation in a future year’s tour? Want to know how to certify your own yard as a Wildlife Habitat? We’d love to hear from you and welcome your ideas or questions. You can find us on the web or on Facebook by searching WOWTA. You may contact us directly by email. If you’d like to see what’s being done to protect the wildlife in Shoreline, the WOWTA Backyard Habitat Tour will show you just how that’s being accomplished - one backyard at a time! We hope to see you on July 9, 2011. The primary for Lake Forest Park mayor matches City Councilman and current Deputy Mayor Dwight Thompson, former Councilwoman Mary Jane Goss, and Republican precinct committee officer Stan Lippmann. The top two vote getters in the August 16 primary advance to the November 8 general election ballot. "I was recruited to run for Mayor by citizens who believe my credentials and qualities are needed. I am a small businesswoman and 30-year resident. My four children graduated from Shorecrest High School. As the first woman to serve as Mayor, I will ensure Lake Forest Park can survive as a mainly residential city, with no unwarranted tax increases. Just as many residents have had to tighten their budgets, so must government. We need decision making which renders improvements, which reflect residents desires rather than outside influence. With your input, together we will achieve better solutions for our neighborhoods, environment and government. I would appreciate your vote for a much-needed change in our City leadership. “Dwight has a vision for city government: Balance our city’s checkbook just as citizens do at home. We must live within our means. He will continue to reduce expenditures to keep within tax revenues. As Mayor, Dwight will maintain our superior police response time; ensure services for senior citizens; and improve road maintenance and parks. “Dwight remains committed to protecting our environment for future generations. Come all you red-blooded Americans and roll up your sleeves this holiday weekend! The Puget Sound Blood Center will be in Richmond Beach Saturday from 10 am to 4 pm taking donations. 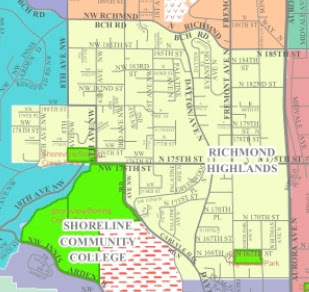 The Bloodmobile will be in front of the Shoreline Fire Safety Center at the intersection of Richmond Beach Road and 20th Ave NW. Last year Richmond Beach hosted a weekend-of-the-Fourth drive, almost on a dare, and the response was terrific. The PSBC is delighted to be back! This year, the community’s goal is to register new donors, so seeing some new faces would be a great way to celebrate. Bring a friend! Giving blood is a great thing to do for your community and country. Most adults over 110 pounds and in good health are eligible; people as young as 16 can also donate, with parental permission. Students who began their giving this year at Shorewood, Shorecrest, or at Shoreline Community College are encouraged to come keep the habit up by donating this summer. Appointments can be made online or by calling 800-398-7888. Walk-ins are welcome and encouraged. Members of the Shoreline-Lake Forest Park Senior Center Red Hat Society enjoyed an afternoon being pampered at the James Alan Salon and Spa. “I felt so special” was a remark heard over and over from the women who got to have a warm, lovely shampoo, special styling, makeup and eyebrow waxing. Volunteers from the salon staff gave a few hours of their time on Friday, June 24, maybe not realizing how much of an impact they made by giving of themselves to this senior group of women. There were lots of smiles, oooo’s and ahs from everyone involved. It was a great way to spend an afternoon. Kudos to the James Alan Salon and Spa for offering this service to our community’s seniors. The Richmond Highlands Neighborhood Association will be taking a break for the summer. They invite you to join them for their next meeting, Tuesday, September 27, at 7 pm, in the Richmond Highlands Recreation Center. If you are not already part of the email list and would like to receive updates on projects and events directly affecting Richmond Highlands neighbors, send an email and ask to be added. You can expect an update every 1-2 weeks. The Richmond Highlands Recreation Center is located at 16554 Fremont Avenue N, Shoreline, WA 98133, south of Shorewood High School. Area covered by the RHNA is in yellow. Over the Shoreline Center. Photo by Jerry Pickard. SAN Photographer Jerry Pickard was taking shots of the Shoreline Arts Festival on Sunday, June 26, when he heard a familiar rumble overhead and captured these photos of a World War II bomber doing a fly-by. Consolidated B-24-J Liberator. Photo by Jerry Pickard. He would have been more surprised if he hadn't known that the Museum of Flight was doing some preparation leading up to their event "Heroes of the Homefront: A Celebration of the B-17" on Saturday, July 16, 2011. Fly-by over the Shoreline Arts Festival. Photo by Jerry Pickard. Jerry says that this plane is a Consolidated B-24-J Liberator, used almost as heavily as the B-17 Flying Fortresses in the European Theater of operations during WWII. Another fantastic Strawberry Festival was held at the Richmond Beach Community Park on May 14. Hundreds of residents and visitors attended the community gathering to partake in the music, food and numerous activities. Richmond Beach was blessed with sunny, blue skies for the event. The torrential downpour predicted by forecasters held off until everyone was safely home. This event is a showcase of many of the wonderful assets that can be found in Richmond Beach. The park itself boasts some of the best views of Puget Sound in the City. What a magnificent backdrop for the performances on the Showmobile stage! All the bands had some connection to the Richmond Beach community. This year’s outstanding lineup included Quarter Past 8, Portage Bay Big Band, Jangles, Shoreline Community college Bluegrassers and Shorewood High Jazz Band. An appearance by the talented and adorable young ladies who comprise Horizon School’s Junior Pom Team lent a real home town flavor to the event. Richmond Beach is also home to a number of quality restaurants who provided a wide variety of culinary delights at the Strawberry Festival: Flying Dragon Chinese Cuisine, Full Moon Thai Cuisine, Naknek Seafood and Swannie’s Sports Club and Eatery. Did you know Richmond Beach was once covered in strawberry fields? The Strawberry Festival was so named to celebrate this little known fact of Richmond Beach’s heritage. The strawberry shortcake served up by Richmond Beach Community Association continues to be a favorite. The Strawberry Festival is co-sponsored by Richmond Beach Community Association and the City of Shoreline. The music is supported by a Community Arts Project grant from the Shoreline-Lake Forest Park Arts Council. Other donors include AA Party Rentals, Lee’s Martial Arts, Beach House Greetings and Richmond Beach Classic Framing. Without their support, this fabulous community-building event would not happen. Thanks, to everyone who attended the 2011 Strawberry Festival. You made it a fabulous day! The Rakers bicycle team, made up of Shoreline residents Lee Michaelis and Paul Brown, is collecting sponsorships for its race in the Seattle To Portland (STP) annual run on July 9th and 10th. The team is donating all proceeds to the gardening group Diggin' Shoreline. "Creating Community Through Gardens." Rakers webpage with donation link. 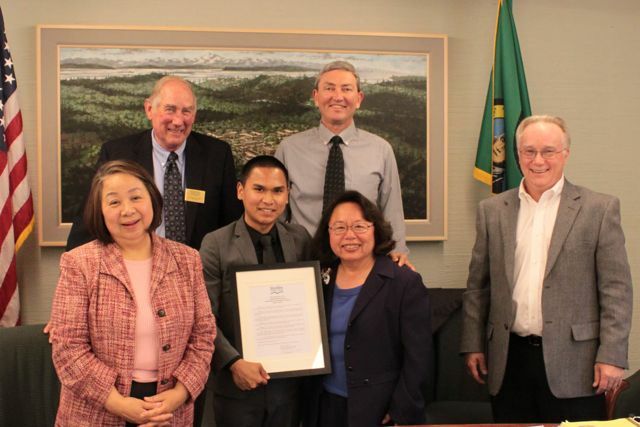 Student Body President Robin Aranas (with plaque) is honored for his service by the Shoreline Community College Board of Trustees (from left) Shoubee Liaw, Roger Olstad, Jerry Smith, Gidget Terpstra and Phil Barrett. 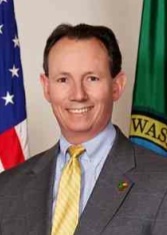 In a recent entry to the Shoreline Community College blog, Jim Hills reported that the Board of Trustees approved a new student technology fee as part of the new budget. The trustees approved a plan that combines five technology-related fees currently unevenly applied to students into one college technology fee that will apply to almost all students. The consolidated fee will be applied at $6 per credit with a cap of $80 per student per quarter. “Technology is no longer an add-on, it is a basic part of a college education,” said eLearning Director Ann Garnsey-Harter during the study session. It was a hotly debated issue among the trustees. Student leaders weighed in with their concerns. "Student government leaders at the meeting didn’t disagree with the importance of technology, but they didn’t like the implementation of the fee. “We think this should be put on hold until next year when students can have a complete discussion of the fee and how it should be applied, who should pay,” said Robin Aranas, President of the student body." The fee is in addition to the 12% tuition hike for the next school year. On June 19, the Shoreline Area News editorial wrote that the primary in Shoreline was meaningless with only one judicial candidate. (Corrected just after publication to include the levy. Ed.) I would like to point out that although the candidate list on the primary ballot in Shoreline is short, there is one primary ballot measure of great significance. That is renewal of the Veterans and Human Services Levy. This levy, initially passed in 2005, is now one of only two sources of human services funding by King County. (The other is the Mental Illness and Drug Dependency Sales Tax). Contrast this with 2005, when the Veterans and Human Services Levy was thought of as a supplementary levy, and the County spent $20 million per year on human services out of the general fund. The ballot measure sets the same initial rate as the original 2005 Veterans and Human Services Levy, 5 cents per $1000 of assessed value. The ballot measure specifies that levy growth will be tied to inflation, as measured by the Consumer Price Index, with a floor of 1 percent and a ceiling of 3 percent. Half the money is dedicated to veteran services and half to more general human services. There are separate oversight boards for the two halves of the levy. Reports of use of dollars and results of the levy are contained on this webpage. I know that the oversight boards have been very conciencious about putting together a plan and carefully selecting projects that support that plan. The renewal of the human services levy was approved by the Regional Policy Committee of King County, endorsed by the Suburban Cities Association and many individual cities including Shoreline, and sent to the voters unanimously by the King County Council. I know this is a bad time for even small taxes. However, it is a good time to continue this levy, which supports veterans in need who have put their life on the line for this country. Additionally, the human services part of the levy supports measures to provide homes for homeless families and fund low income medical clinics. I strongly support continuing this levy and urge Shoreline voters to also support it. 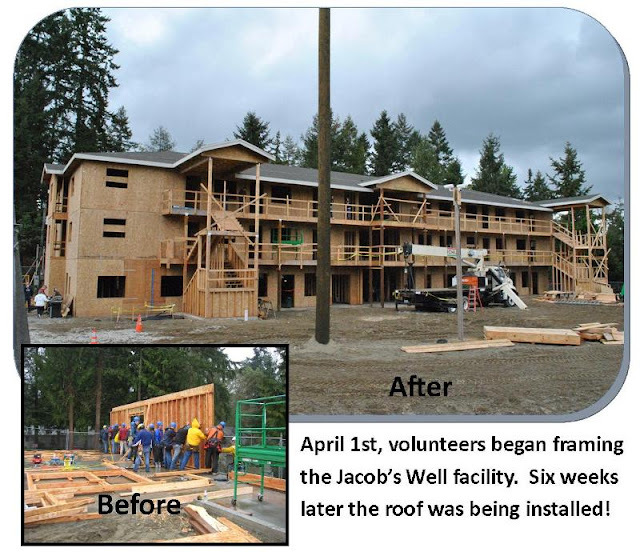 Jacob's Well, the housing complex for homeless mothers and their children, has made amazing progress since the big work parties we documented in the spring. It is two stories up and the roof is being installed. The complex will have 20 units, plus on-site services. Located in the Ballinger neighborhood of Shoreline, it is in a residential neighborhood, but close to Ballinger Way and bus lines. Volunteers are still needed Saturdays and Wednesdays through July. You can join the other local volunteers on the work crews and support crews, or you can donate money to help purchase the building supplies for lights, heat, and water to the building. Sign up to help out. - get some friends to join you - or get a crew from your church. 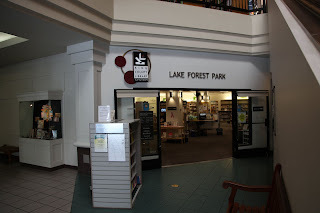 A word about the parks of Lake Forest Park and Shoreline: this is not an attempt at history, really. That you can find that on either city’s website. It is just a look at what is in a park, and why you would want to go. Parks are a major part of being a city and should be used. First you have to know they’re there. Eagle Scout Park is the very definition of a "pocket park." You could cover the entire park in six great strides. It is on the corner of 178th and 180th NE, across from Pfingst Animal Acres, set up for a morning workout perhaps? There are several signs about fitness and heart health, and some set ups include exercise bars, chin-up poles, and balance beams. There is a picnic table, but the birds and age have overtaken it. One bench exists so you can watch someone else get exercise! The park is small, so there really is no place to run within it. You will need to run from somewhere else in the city, or start at the park with a workout, then run. This is true also if you arrive by car - there is a pull-off area for maybe two cars in front of the mailboxes, but no designed parking. You could park at Pfingst Animal Acres across the road with its 10 parking spaces. If you run through this park, then through Animal Acres, you won't cover even a mile. And like Animal Acres across from it, you will need to find a bathroom somewhere else. The Eagle Scouts developed this park as a project, and you can find out more information about Boy Scout Trooop 348 here. Eagle Scout Park is also a waymarking site, and more information on that is here. And of course, the city provides information about all its parks here. 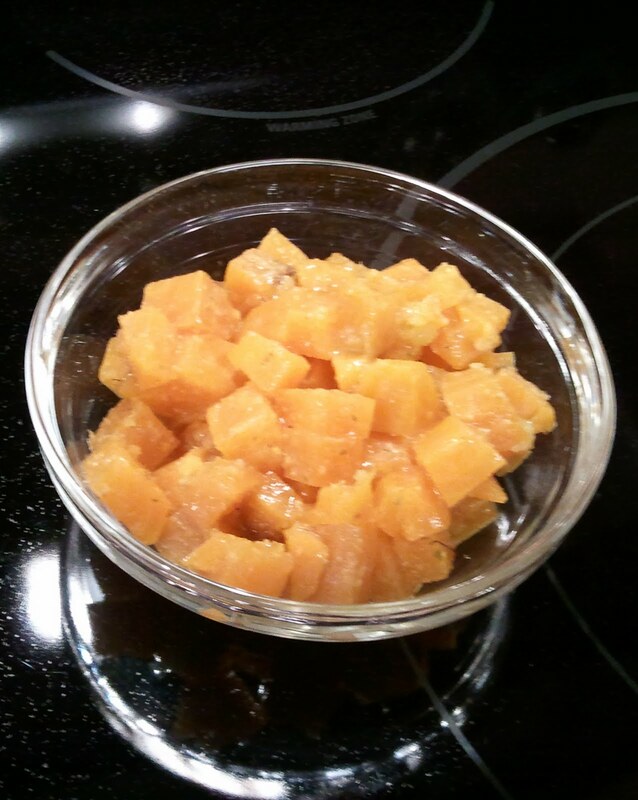 Golden Beets. Photo by V. Rhoades. Beets are easy and amazingly nutritious - rich in fiber, folate, manganese, and more. And they are easy! Buy beets at the store - I bought mine at Central Market. They look kinda ugly. Trim off the top and the bottom and don't worry about trimming off the hairy looking rootlets. Quarter them, and steam them for about 45 minutes or till a fork pierces the skin easily. Take them off the heat and let them cool enough to easily handle them. Which is then the fun part! Those ugly skins just rub off under your fingertips. You might need to trim a little bit off the tops, where the skin sticks more, but what is underneath is then a gorgeous ruby red - or golden yellow, if you used yellow beets, like I did in the photo. What is left can then be sliced or diced in whatever way you want, or pureed with liquids to make a soup. Puree till smooth; pour over diced beets. Chill. You can put this on greens with additional dressing, or use it as a side dish, just eat it by itself with a bit of feta cheese sprinkled on top. This recipe has the Husband Seal of Approval. King Councilmember Bob Ferguson is joined by From L to R: Lake Forest Park City Administrator David Cline, Mayor Dave Hutchinson, and Councilmember Sandy Koppenol and Deputy Mayor Dwight Thompson. The County Council recognized the city of Lake Forest as the city celebrates the 50th Anniversary of its incorporation. The Metropolitan King County Council today, Monday, June 27, recognized the 50th anniversary of the incorporation of the city of Lake Forest Park. 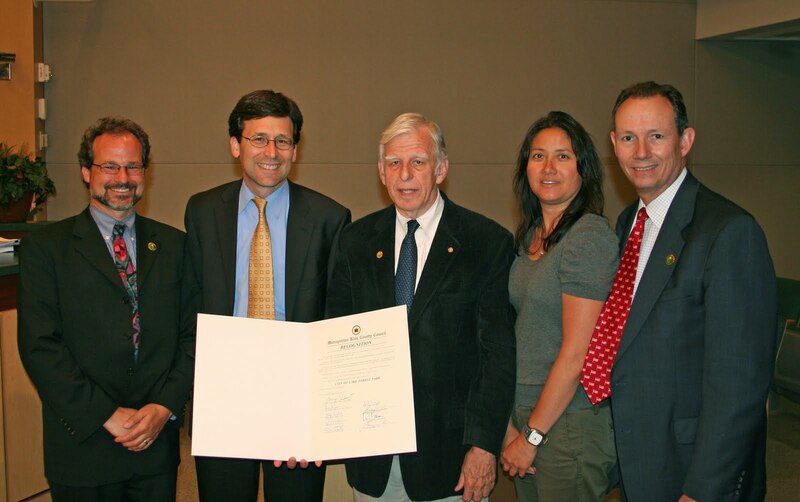 Lake Forest Park Mayor David Hutchinson, Deputy Mayor Dwight Thompson, City Councilmember Sandy Koppenol, and City Administrator David Cline were in Council chambers to receive the recognition from Metropolitan King County Councilmember Bob Ferguson. Lake Forest Park was designed to preserve the natural beauty of the area. 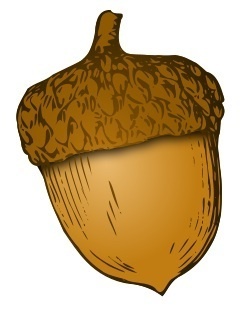 Since its incorporation on June 20, 1961, citizens have continued on the path of preserving its natural aspects by organizing and participating in many projects such as the Urban Forest Task Force, which is made up of citizens who look at the existing tree preservation ordinance and make recommendations for changes. The anniversary celebration included a weekend of family activities, including a community bonfire, a stargazing event, barbeques, garden tours, Goat Days, concerts at the Lake Forest Park Farmer’s Market, and a birthday cake. The Peruvian consulate, located in Lake Forest Park, joined the celebration, donating a statue of Admiral Miguel Grau Seminario, a renowned Peruvian naval officer, to the city. While in Lake Forest Park, citizens and visitors can learn more about the city through the Historic Markers which depict the history of the area before and after incorporation. This was made possible by King County’s 4Culture Heritage Special Project grant in collaboration with the Shoreline Historical Museum. on the 50th anniversary of its incorporation. DATED this twenty-seventh day of June, 2011. Join world-renowned lavender propagation expert Victor Gonzalez of Victor's Lavender in Sequim and Steve Ragsdale of Sunshine Lavender Farm, one of six destination farms on Sequim's famous Lavender Farm Tour, for a discussion of the secrets to growing healthy lavender plants of various varieties. The farmers will touch on soil type and quality, drainage, fertilization, trimming, and harvesting. Artisan lavender products made on Sequim farms will be exhibited. 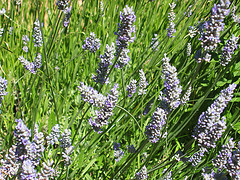 The presentation will end with a drawing for two free pairs of tickets to the Lavender Farm Tour and information on the debut of the Lavender Farm Faire, both a part of Sequim's Lavender Weekend, Friday July 15 - Sunday July 17. Don't go here after July 16. Turn around and look behind you. 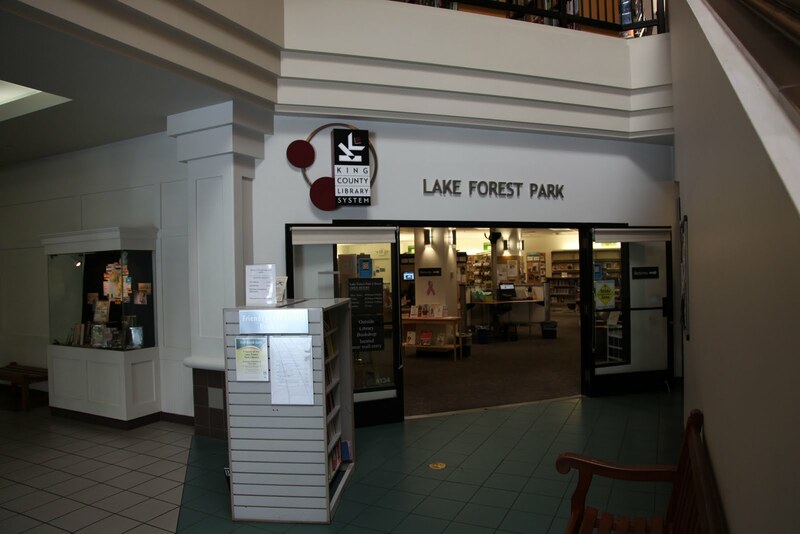 According to the King County Library System, the Lake Forest Park Library will be closed on Saturday, July 16 at 5pm to begin construction of the expanded Lake Forest Park Library. An additional 2273 square feet will be added to the current space and will include a multipurpose meeting room, additional seating and study tables. Visit the temporary location, opening July 18, 1pm in the old Avid Angler space just across from the current library in the Towne Centre Mall. Limited services will be available in the temporary location including holds pick up, book drop, small browsing collection and library staff. Please visit other nearby KCLS libraries for additional services. 6-2 Son stole his mother's phone, sold it, then told a Shoreline police officer. His mother told him she wouldn't prosecute if he got the phone back. He did. 6-7 A couple of brothers brought a BB gun to Parkwood Elementary grounds. 6-9 Shorewood student left backpack unattended and computer was stolen. 6-9 Shorecrest student, same thing. 6-10 Shorewood. Victim's iPod stolen from counter inside classroom. 6-11 Innis Arden Reserve. Four underage kids cited for drinking beer, then driven home. 6-5 AV Suspect trespassed for sleeping in Starbucks. 6-9 Ballinger Commons apartment complex on 205th. Man going door to door knocking on doors and aggressively demanding money. Managers want him trespassed but don't know who he is. 6-9 7xx N 185. Transient sleeping at business, formally trespassed. 6-13 Shorecrest. Subject sleeping at south end of baseball fields had misdemeanor warrants. 6-6 Victim sent wire transfer cash to suspects posing as United Nations reps in order to receive millions back. 6-7 Shorewood. Used rock to break window, stole five computers. 6-9 13xx N 165. Broke out basement window but didn't get inside. 6-10 Family Time Restaurant 15200 Aurora, burglarized. Burglar punched through drywall to next business, Aurora Prints. Took contents of tills. 6-10 2545 NE 200. Door to school annex at Aldercrest forced open. Nothing missing. Have photo of intruder on tape. 6-10 158xx 8 NE. Forced open locked shed. 6-13 22xx NE 197 Pl. Front door forced, unknown if entry was made. 6-13 18xx NE 171. Entered through side door in garage. Home unoccupied. 6-14 3xx NE 158. Nook missing from house. 6-7 The Y. Vehicle keyed while parked in YMCA covered lot. 6-9 Vehicle keyed while parked in Aegis lot 15100 1st NE. 6-10 165xx Densmore N. Rock thrown at parked vehicle, broke windshield. 6-12 148xx 15 NE. Tire slashed on parked car. Second time in two months. 6-13 4xx NW 203. Front lawn driven over with a vehicle. 6-14 9xx NW Innis Arden. Sky light on front of house broken by a golf ball. 6-8 Unknown person broke into vehicle at Ronald Bog and drove to residence to break into home. 6-11 Unknown person entered house and took things, took car keys and took things from car. Left beer. 6-12 Vehicle keys dropped into car off victim's clip, car stolen and impounded by Washington State Patrol. 6-8 Car in residential driveway. Documents and speakers stolen, screwdriver left. 6-8 Two weeks ago GPS stolen from vehicle at 7xx N 182. 6-8 Richmond Beach Park. Purse stolen from car. 6-11 200xx 15 NE. Car in residential driveway. 6-12 904 N 155, Denny's. Victim having dinner at Denny's, someone broke window on car and stole computer bag. 6-13 SCC. Window smashed, bag taken. 6-13 200xx 15 NE. 6-13 Shoreline Library. Car window broken, laptop and cell phone taken. 6-10 160xx Ashworth N. Bicycle hanging on hook in carport stolen. 6-11 21xx N 155. Bicycle found. 6-13 18xx NE 170. Found pile of mail in front yard. 6-13 150xx 26 NE. Found two checks in yard. 6-8 Home Depot. 6-8 Top Foods. Suspect is known to eat beef jerky without paying, then threatens to kill manager when confronted. Suspected crack cocaine found during search incident to arrest. Formally trespassed. 6-9 Costco, stole jeans. 6-9 Goodwill, clothing. 6-9 Top Foods, put items in purse. 6-10 Top Foods. 6-11 Top Foods, stole food. 6-15 Sears. Took a flashlight. 6-9 Suspect used forged sales receipt at Safeway on 15th NE. 6-13 Club Hollywood. Counterfeit cash. 6-10 162xx 9 NE. Subject drove off, leaving briefcase on curb. Returned ten minutes later and it was gone. 6-13 Aurora Rents. Failure to return $1500 gas winch. 6-14 Sky Nursery. Theft of wallet from purse in shopping cart inside store. 6-14 Shoreline Library. Victim's Green Card is missing. Thinks he had it last at the library. 6-8 2136 N 163, City Light substation. Cut fence, stole pipe. 6-9 15303 Westminster, NW School. Cut hole in chain link fence, nothing missing. 6-12 City Light substation. Cut fence, stole copper. 6-12 196xx 19 NE. Argument among several people results in victim being cut by a knife. 6-4 12xx N 173. Subject intoxicated and screaming. Warned once, then given a ticket for violating noise ordinance. 6-9 2xx NE 155. Stopped for speeding, arrested for DUI. 6-10 AV Transit Center. Intoxicated man takes pills in suicide attempt. Involuntary commitment to Swedish Edmonds. 6-10 Ballinger Commons on 205th. Loud stereo. Drunken subject briefly detained before cooperating and providing name. 6-10 AV Transit Center. Subject intoxicated, passed out on Metro coach, sent for detox. 6-11 NE 170/4 NE. DUI driver got in accident, taken to hospital. 6-11 195xx Dayton N. Intoxicated male sleeping on grass. 6-11 Sears upper parking lot. Officer saw a single car with two occupants in empty lot at 2:40 am. Arrested both on outstanding warrants. 6-11 Driver with suspended license tried to use his twin brother's ID to avoid a ticket. 6-11 171xx 15 NE. Driver switched plates on his SUV to avoid the license tax. Suspended license, 25 oz of marijuana in vehicle. Handicapped placard in car. 6-12 172xx Ashworth. Officer saw a man walking northbound carrying a small wood cabinet and rolled up carpet. Subject dropped the carpet on the shoulder of the roadway and kept walking. He had outstanding felony criminal warrants. 6-12 Goodwill. Man put wallet in shorts pocket and dropped it. Inside were various ID cards and $850 in cash. Wallet was stolen. From now until July 31, Shoreline residents are invited to submit ideas for a community improvement project worth $10,000. Project ideas will be reviewed by a committee of neighborhood representatives, and the winning project will be installed and maintained by CleanScapes, in coordination with the City of Shoreline. 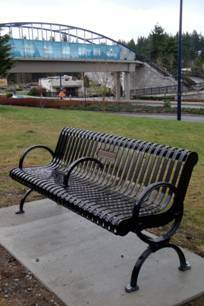 Last year, CleanScapes funded the installation of five new benches along the Interurban Trail as the winning project. CleanScapes will award this year’s project to residents in the Friday collection area for demonstrating the greatest reduction in waste from 2010 to 2011. This area includes all or part of the following neighborhoods: Highland Terrace, Meridian Park, Parkwood, Richmond Highlands, and Westminster Triangle. Do you have a great idea for a community project? Submit your idea on the CleanScapes website, email CleanScapes to request a paper form, or download it from the SAN. Interested in helping your neighborhood win? The 2011-2012 competition is underway, giving you the chance to compete for a $10,000 community project in your neighborhood. Visit the CleanScapes Shoreline website (click on “Community”) to read more about the Neighborhood Rewards program, and for ideas on how to reduce waste and help your community at the same time. In addition to providing solid waste and recycling services to residential and commercial customers in Seattle and Shoreline, WA, CleanScapes delivers comprehensive streetscape management services to businesses, public facility districts, and municipalities in Seattle, Portland, OR, and San Francisco, CA. The Tuesday Quick-Start Shoreline Business Workshop for start-up, existing or potential business owners will be held on June 28 from 12 noon to 1:30 pm at Shoreline City Hall, 17500 Midvale Ave N.
Quick-Start Shoreline is presented by Shoreline Community College Small Business Accelerator and the City of Shoreline. The sessions are free and open to the public; feel free to bring a brown bag lunch or a snack. Now more than ever companies need to make the right decisions when hiring staff. Despite the high unemployment rate, recruiting and hiring qualified staff is a challenge. Everyone knows the risk and pain associated with making the wrong hire decision! This presentation will discuss the trends in the employment market, will define a hiring process that reduces risk and improves success rate and reviews a process for getting hired. This is a key skill for any business owners in today’s market. Scott has 30+ years of business experience primarily in sales, marketing and technology. 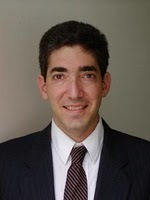 He has a BSIE for SIU-C and an MBA from Marquette University. 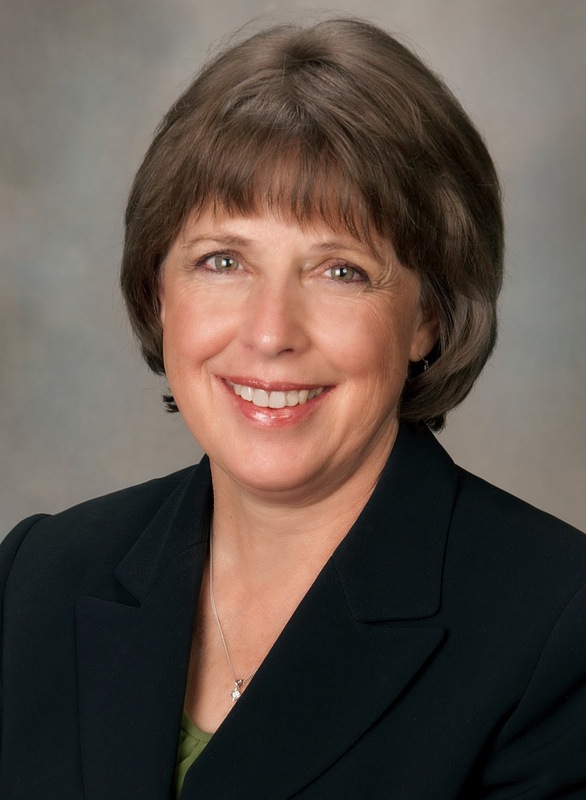 Barbara has 25+ years of business management experience including Regional VP for Levi Strauss. She has also started and operated her own small business locally. She has a BA in Psychology from University of Arkansas. Express Employment Professionals is a local staffing company focused on helping companies improve the efficiency and effectiveness of your operation by reducing the time and effort required to find and keep good people. We provide a full-range of recruiting and staffing services for a wide set of business needs including labor, administration/office, professional and medical/dental. We are a local company dedicated to the success of our local customers! It is a whole new world. You can sit in front of the computer at any time of day (or night) and find your ancestors. Two things to remember, though: first, not all information is on the internet. You may still have to contact a county clerk, or archive, for example, to obtain a certificate of marriage or death. Many organizations just do not have the budget or staff to digitize their collections. Second: just because you find information on the internet does not mean that it is necessarily true! Particularly when looking at family trees that are user-submitted on various commercial sites, or on a website that is created by a person and is obviously their research, be cautious unless the information is well documented. Given those two cautions, you can find a lot of information on the internet, much of it for free, and this is growing all the time. One place to start is with a list that just came out (and no, they did not pay me to mention it). Search online for “101 Best Family History Sites.” This will bring up the very-recently published Family Tree Magazine list for 2011. In that case, some that they list are pay databases, but more are listed there, overall, than I will list here. The best starting point. You will find links for just about every topic related to genealogy. If you are just beginning, definitely take a look but don’t get overwhelmed. This is a fantastic site! This is a large site, so it is easy to miss things within it. I suggest spending a bit of time clicking on the various links and seeing what is there. Some suggestions: Click on World Connect Project, and start your search from there. This searches user-submitted family trees. Also, try this site within Rootsweb. This will allow you to search by location. This is again, user-submitted information, but I found it hard to find from the home page, initially. The home page for the Church of Jesus Christ of Latter Day Saints family research site. Too long an explanation to go into here, but anyone can use their site. I suggest looking under “Browse by Location” and choosing your location. This allows you to see what information they have for specific eras. Click on the first link under “Find Graves.” Narrow down your search if you are able, especially if the name is common. If you are researching anyone who lived in Washington in the last 130 years or so, give it a try. A place to find others searching for the same people or places that you are. Click on the state, then the county you are interested in. You may find transcribed information that leads you to an ancestor, or photos of tombstones, just as examples. Unidentified photos looking for a home. Do you recognize anyone? Do not forget to take advantage of your local library for help. Many databases that would cost you a lot for an annual subscription are free through the library online site. Also, those librarians are full of information and good advice! So, go take a look, and remember, cite your sources!